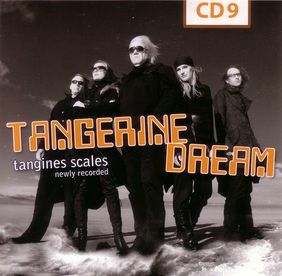 Tangines Scales compiles ten tracks that had originally been released on the following albums: Poland (1983), Underwater Sunlight (1986), Livemiles, Optical Race (both 1988), Miracle Mile (1989), Turn Of The Tides (1994), and i-Box (2000). With the exception of the unique version of House Of The Rising Sun this compilation contains no new material. 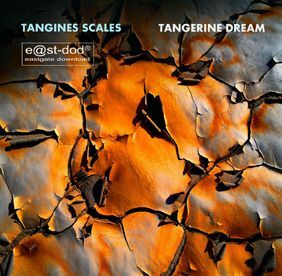 The Eastgate Music Shop about this release "Tangines Scales is the second release out of the Antique Dream Land series. 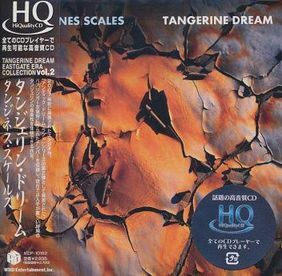 An interesting mixture of studio, live and soundtrack work will take you on to a strange journey passing landscapes of sound sculpturing which probably couldn't have been produced by anybody else but Tangerine Dream. Enjoy the ride with an ultra fresh remastering and take a chance to escape a few minutes from today's gagaland." 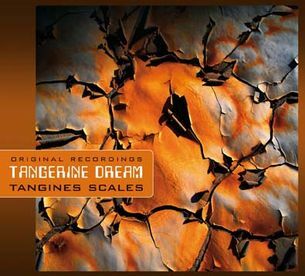 A few days after its CD release this album became available as MP3 download at the Tangerine Dream Download Shop, but featuring the tracks in a completely different order and with some subtitles missing. In March 2009 the album was re-released with different cover design as part of an extensive digipack series (consisting of a total of more than 60 CD and DVD releases) by the Germany based Membran record label, and in June 2009 it was re-released in Japan as part of a series of HiQualityCDs with mini LP paper sleeves. In September 2010 the album was re-released as part of the box set The Electronic Journey. 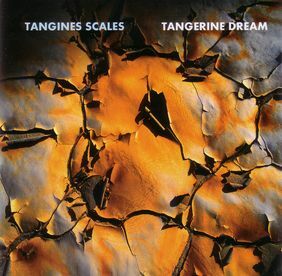 Tangines Scales was also released as part of the set The Electronic Journey.